Cows were freely bid for and many more could have been sold. 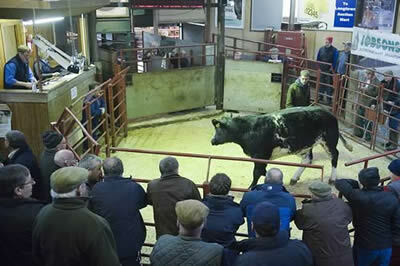 The sale topped at £915.20 for a British Blue cow shown by CA Grieve & Sons, Snab Farm. Simmental cows sold to £878.40 from TJC Bradbury, Satchells with Angus cows selling to £847.90 from TN Cavers & Co., Sorbie Farm. Prime bulls sold to 209p for a Charolais sold by JW Vevers, High Stenries. British Blue 128p, 127p Snab Farm. Angus 124p, 122p, 120p, 118p Sorbie. Welsh Black 120p, 113p Satchells. Black & White 112p Harelawhole. Limousin Bull 106p Low Old Shields. British Blue £915, £844 Snab Farm. Angus £847, £796, £786 Sorbie. Black & White £784 Harelawhole. Charolais 209p, 200p, 190p High Stenries. Charolais £1,274, £1,210 High Stenries. A larger entry of 5,869 prime hoggs were forward to the usual ring of buyers all keen for sheep especially heavy hoggs and the best quality. Trade for all other classes remained similar on the week with fleshed hoggs keenly sought after. The sale topped at 305p for a pen of tremendous Beltex hoggs from DS & RC Taylor, Easter Ochtermuthill, Perth with top price per head peaking at £134 for a Texel hogg from Miss A Preacher, Holylee, Peebles. Overall sale average 189.9p (SQQ 190.6p). Beltex 305p Easter Ochtermuthill, 292p, 279p Corstane, 278p Easter Ochtermuthill, 277p Hollands, 267p Killocraw, 265p Drumcairn, 260p Easter Ochtermuthill & Hollands, 258p Wallend, 254p Drumcairn, Killocraw & Thornthwaite Close, 251p, 250p Uppercleuch, 247p Sorbie, 242p Uppercleuch. Texel 266p Tercrosset, 265p Drumcairn & Moor Side, 260p Easter Ochtermuthill, 258p Carse of Clary, 255p Crawthat, 252p Tercrosset, 251p Kirk House, 250p Carse of Clary, 245p Moor Side, Walkerdyke & Corstane, 240p Pearsby Hall, 239p Drumcairn & Outertown, 237p High Stenries, 234p Killocraw, 233p Compstone End & Hardington Mains. North Country Cheviot 216p, 214p, 210p Station Yard, 206p, 205p Sceugh Dyke, 202p Castlehill, 200p Hallburn, 198p Whiteknowe, Philiphaugh Estate & West Scales. Charollais 212p Viewley, 205p Ashley Park, 204p Meiklethwaite, 203p Hallburn, 202p Sceugh Dyke & Micklethwaite, 200p Walkerdyke, Hallburn & Tinnishall. Suffolk 209p High Cattadale, 207p Tarrasfoot, 205p Gartvaigh, 204p Tarrasfoot, Hallburn & Broomhill, 203p Killocraw, 202p High Cattadale, Ashley Park & Sceugh Dyke, 200p Tinnishall, Hardington Mains, Wallend, Ashely Park, Machribeg, Oswie, West Scales, Tarrasfoot & Park House. Cross 204p Hardington Mains & Sceugh Dyke, 200p Gartvaigh, 198p Low Chesterhope & Kirkhouse, 196p Killipol & Arnicle, 194p Dalbhraddan, 191p Arivore, Fardingjames, Newtown & Killeonan, 190p Fardingjames & Park Fergus. Cheviot 202p Catslackburn, 198p, 195p Longburgh Fauld, 193p Twislehope, 192p Longburgh Fauld. Cheviot Mule 202p Longburgh Fauld, 182p Machribeg, 180p Marwhirn. Blackface 195p Sorbie, 194p Hoscote, 192p Bragleenmore, 190p Bush of Ewes & Winterhopeburn, 189p Bragleenmore, 188p Hoscote, High Creoch & Craig Douglas, 187p Penchrise, 186p Winterhopeburn, 185p Knochreoch & Balliemeanoch. Swaledale 174p Westburnhope, 167p Woodhall. Texel £134 Holylee House, £118 Rawburn, £116 Kirk House, £112 Station Yard, Carse of Clary, Sharplaw & Kirk House, £110 Carse of Clary, £109 Tercrosset, Westernhopeburn, Station Yard, Drumcairn, Carse of Clary, Drumreach, £108 Hollands, £107 Drumreach, Crawthat, Station Yard & Mount Benger, £106 Tercrosset & Station Yard, £105 Hallburn Croft, Oswie & Station Yard, £104 Craig Douglas, Oswie, Station Yard & Easter Ochtermuthill. Beltex £119 Easter Ochtermuthill, £114 Corstane, Easter Ochtermuthill & Drumcairn, £112 Hollands & Easter Ochtermuthill, £110, £108 Hollands, £106 Corstane, £105 Uppercleuch, £104 Killocraw, £103 Wallend. Suffolk £107 Twislehope, £104 Tarrasfoot & Guardsmill, £103 Larkhall, £102 Broomhill, £100 Twislehope, £99 Sceugh Dyke, £98 Tarrasfoot & Longlea, £96 Hallburn Croft, £94 Park House & Oswie, £94, £93 High Cattadale, £93 Tarrasfoot, £90 High Dyke, Tinnishall & Hassendean. North Country Cheviot £103 Twislehope, £101 Nisbet Mill, £99 Sceugh Dyke, £98 Philiphaugh Estate, £97 Larkhall, Station Yard & Gospel Hall, £95 Whiteknowe, £94 Station Yard, £93 Philiphaugh Estate & Braehillor, £91 Whiteknowe, £90 Philiphaugh Estate. Cross £100 Sceugh Dyke & Kirkhouse, £95 Park Fergus, £94 Westerhopeburn, £89 Low Chesterhope, £87 High Parkfoot, Hollands & Howgillside, £86 Newtown & Fardingjames, £85.50 Hardington Mains, £85 Kirkhouse. Cheviot Mule £98 Killocraw, £91 Longburgh Fauld. Charollais £96 Micklethwaite & Walkerdyke, £95, £94 Micklethwaite, £91 Viewley, £89 Sceugh Dyke, £88 Ashley Park & Thackwood. Cheviot £95 Catslackburn, £89 Twislehope, Mount Benger & Catslackburn, £85 Longburgh Fauld & Tushielaw, £80 Longburgh Fauld. Blackface £85 Mount Benger, Edges Green & Low Chesterhope, £84 Hott, £83 Craig Douglas & Tayvallich, £82.50 Balliemeanoch. A larger show of 4,053 cast ewes and rams were forward to the usual ring of buyers, all classes around £10 dearer on the week apart from the plain ewes. 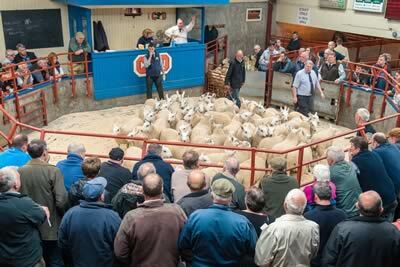 Sale topped at £158 for excellent Texel ewes from A Campbell, Strawfrank, Lanark and from M Watson, Four O Boot, Carlisle. Hill ewes to £74 for Cheviot ewes from Messrs Common, Crossdykes, Lockerbie. Rams sold to £132 for Texels from B Storey, Woodhead, Haltwhistle. Texel £158 Strawfrank & Four O Boot, £156 Beckfoot & Townfoot, £154 Roxburghmill & Cranshaws, £151 Four O Boot, £150 Harene, £147 Sunnycroft, £146 Viewley & Alnham, £145 Cambwell, £144 Sunnycroft & Chaseside, £143 Toftcombs, £142 Sharplaw, £141 Chapelton of Menmuir, £140 Harene, Middle Ord Farm & Waltonwoodhead, £139 East Kirk, £138 Viewley & Eastside, £137 Low Tirfergus, £136 Hill House & Toftcombs, £135 Lairdlaugh, £132 Westward Park & Toftcombs, £130 Lairdlaugh, Beckfoot, Hill House & Hassendeanburn. Beltex £139 Tercrosset, £136 The Wreay, £126 Viewley, £116, £108 The Wreay, £106 Carse of Clary, £102 The Wreay, £96 Thackwood, £90 Waltonwoodhead. Suffolk £116 Chaseside, £114 Golden Lane, £110 Colmslie Hill, £107 Sunnycroft, £108 Golden Lane & Larglea, £107 Chaseside, £106 Beckfoot, £105 Gospel Hall, £104 Heatherglen & Harene, £102 Cambwell, £100 Hassendeanburn, Eastside, Skelfhill, Beckfoot & Viewley. Charollais £116 Viewley, £115 Chaseside, £108 Beckfoot, £104 Thackwood. North Country Cheviot £94 Philiphaugh Estate, £92 Gospel Hall, £89 Larkhall, £88 Gospel Hall, £80 Cara View. Blue Faced Leicester £93 Colmslie Hill, £90 Cranshaws, £89 Kirkton of Crawford & Clarilaw, £82 Alnham, £81 Larkhall. Cheviot Mule £90 Philiphaugh Estate, £88 Dormansteads, £80 Colmslie Hill. Cross £81 Easter Dawyck, £80 Eastside & Toftcombs, £79 Middle Ord Farm, £78 Yarlside, £77 Tughall, £76 Crindledykes, Hassendean & Westward Park, £75 Tughall, Little Culmain, Newton, Demense, Cranshaws & Alnham, £74 Easterhouse Farms, Carsegowan & Foulshiels. Cheviot £74 Crossdykes, £70 Commonside, £68 Chapel Farm, £66 Cloggers Cottage, £64 Drumdroach, £60 Carterton & Colmslie Hill, £59 Brydekirk Mains, £57 Burnside, £56 Easterhouse Farms, £54 High Dyke, £50 Drumreach. Blackface £68 Chapel Farm, £67 Whiteside & Bankend, £64 Sewing Shields, £62 Skelfhill, £61 Cranshaws & Brydekirk Mains, £60 Edges Green, Poltalloch & Larg, £59 Clayshant & Drumreach, £58 Brydekirk Mains & Parkfergus, £57 Easter Dawyck, Crindledykes & Glenbeg, £56 Killeonan & Cranshaws. Swaledale £59 Kilnstown, £82 Edges Green, £50 Peasemyres, £49 Kilnstown, £46 Thornhope & Wydon Eals, £44 Easter Dawyck & Spital Shields. Lleyn £58 Sharplaw, £56 Yarlside. 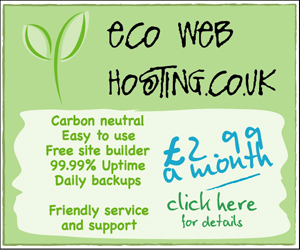 Easycare £50 Marygate, £48 Newhouses, £43 Hill House. Texel £132 Woodhead, £130 Cranshaws, £128 Stonehouse, £127 Rumbleton Rigg, £120 Easter Dawyck, £112 Middle Ord Farm, £110 Firth & Viewley, £108 Keith & Carsegowan, £102 Quarryfield, £100 Beckfoot, Drumhumphry & Middle Ord Farm. North Country Cheviot £120 Cara View. Suffolk £114 Hassendean, £108 Alnham, £106 Strawfrank, £100, £98 Knock, £94 Easter Dawyck. Blue Faced Leicester £112 Kilnstown, £108 Cranshaws, £105 Wydoncleughside, £102 Lawston. Charollais £98 Viewley, £96 Firth Farm. Beltex £96 Howgillside, £92 Burray. Cheviot £84 Cowburn, £83 Twislehope, £82 Carterton. Blackface £78 Drumhumphry, £75 Skelfhill.